1...4Sunday is the Day of the Sun, day of Apollo the God of Sun. Every day is a Magical day. The Day of the Week you were born reveals secrets about you and your Destiny and each day has its own magical correspondences such as deity associations, colours, crystals, and herbs. Each individual day also carries its own bewitching specialties. The trick is finding a way to apply these correspondences in a practical and fresh way to your Craft. The Day of the Week you were born reveals aspects about you and your Destiny. Monday, Tuesday, Wednesday, Thursday, Friday, Saturday and Sunday. Why there are 7 days? Something only a few know is that the days are Seven as the Major planets of Astrology are Seven. 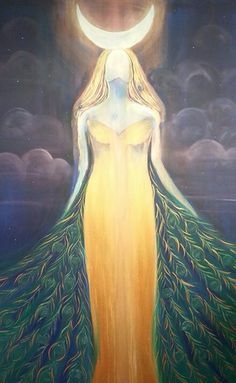 Each Day corresponds to a Planet/Goddess, thus each day is drenched in their power. In ancient Witchcraft, each day is good for a special Magical Activity according to the energies of the Planet / Deity. 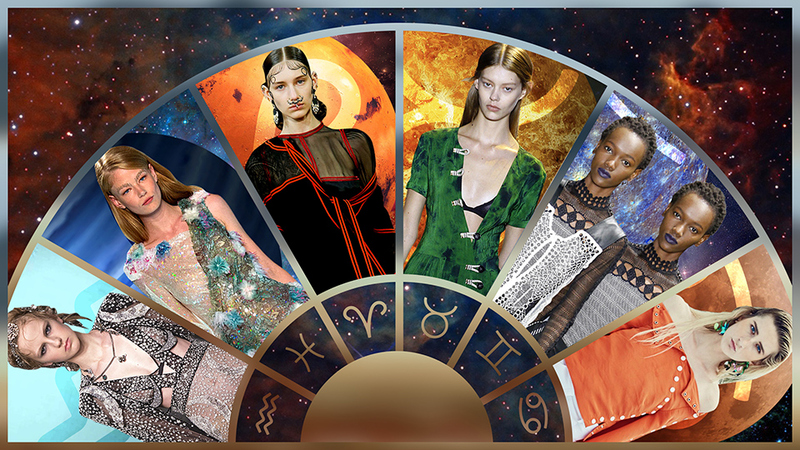 In the same pattern, the day we are born is drenched with the associated powers and abilities of the Planets. Monday is the Day of the Moon (MoonDay). 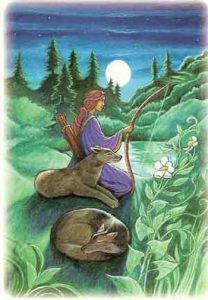 Artemis/Diana is your Patroness Goddess. The Lunar Forces bless the Child born on Monday with tremendous psychic abilities and the gift to understand others with empathetic qualities. Most Monday children are very sensitive, they get easily angry as they feel frustrated with the emotions and behavior of others. Empathy is their strongest ability. Usually, they are gentle and soft-spoken as the light of the Moon sweetens them from the inside. They say the most Monday Children suffer from insomnia as the Moon always watches them at night and she can’t easily let her children fall asleep. Monday’s child may suffer from digestive problems but those people are very powerful indeed as they are completely empowered by their emotions. Monday Children have a natural ability for glamour and beauty spells and they have very powerful Healing Magic. Mystical Water is the key to unlock their powers as the ancient magic teaches us the Moon rules over all waters. Getting outside and looking for the moon in the heavens. Sit under her light and absorb a little glamor. 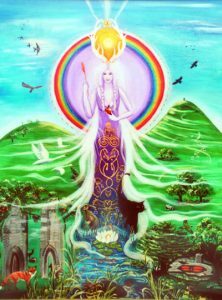 Call on the moon goddess Selene for practical help in magical issues. Empowering your silver jewelry under the light of the moon. Wear moonstone or pearl jewelry today to add a lunar and magical shimmer to your outfit. Be mysterious and subtle and wear moon-associated colors such as white, silver, and blue. (Tyr’s Day the Norse War god associated with Mars/Ares). The Passion of Mars blesses the Child born on Tuesday with a fiery will, passion, and enthusiasm. They act spontaneously and love to always get what they want. All Children of Tuesday are warriors either this is easily noticed or not. Their call is to claim their power and become the ‘brave children’ as Mars, the God of War intends. Self-righteousness is one of their characteristics as youngsters but as they grow up they realize that more opinions are needed to be expressed. They are prone to accidents but they are also considered very faithful and mighty. Tuesday Children have a natural ability for offensive spells, and they are extremely good to channel enthusiasm, excitement, and inspiration. The key for their Magical Powers is Enthusiasm! Wednesday is the Day of Mercury (Woden’s Day – Odin’s Day, the Norse god of Wisdom associated with Mercury/Hermes). The Wisdom and Agility of Mercury blesses the Child born on Wednesday with a very powerful and practical Mind. Curiosity is your second nature and you have a natural talent for business and communication. Their Call is to discover and learn more and more every day. People born on Wednesday are gifted with the ability to cope with different stimuli at the same time and this is why their multi-tasking ability makes them great at almost any job. It is said that these people are usually happy with their lives. Wednesday Children have a natural ability in Telepath and Astral Projection as their consciousness is extremely powerful and they can control it. The key for their Magical Powers is Curiosity! I don’t know what day of the week I was born. Can you help me? June 11, 1935 Thank you so much!!! I would love to know the source of the art you used for the art you used for each day. Please STOP sending me notifications on my desktop! Please!